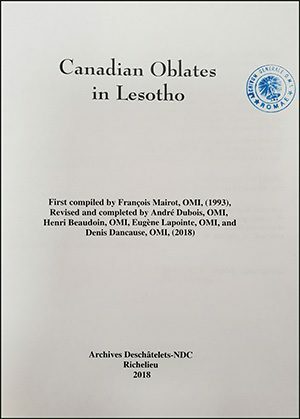 A beautiful volume, “Canadian Oblates in Lesotho” has been published by Archives-Deschâtelets, Notre-Dame-du-Cap Province, Canada. This publication, begun in 1993, was recently completed by the Deschâtelets-NDC Archives team, under the direction of Elaine Sirois for the occasion of the 70thanniversary of the arrival of the first Missionary Oblates of Mary Immaculate from Canada to Lesotho. Their missionary dedication spanned seven decades, from 1923 to 1993, and counted with 189 Oblates receiving their obedience to the Mountain Kingdom. 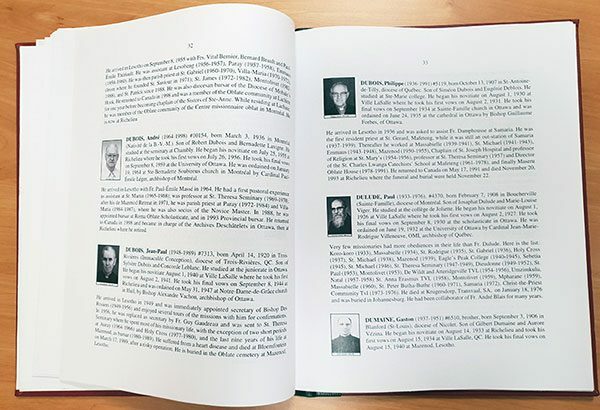 Research carried out by various Oblates has brought together short biographies of each of these Oblates; the places they worked in Lesotho; and the years in which they were missioned there. The Preface includes the interesting fact that among the 189 Oblates there were 50 Oblate Brothers and some of the Oblates spent 60 years or more in Lesotho. 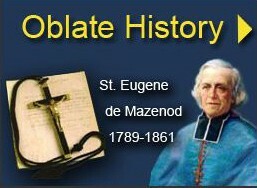 Almost all of the short biographies are accompanied by a picture of the Oblate it describes. Upon receiving this precious book from Fr. 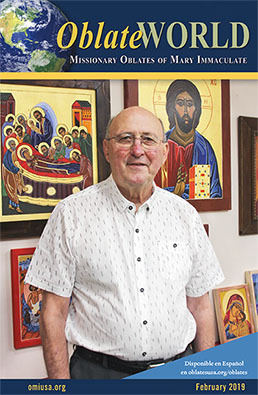 Luc TARDIF, Provincial of the Province of Notre Dame du Cap, Father Louis LOUGEN, the Superior General, called this volume “a witness to the missionary spirit and generosity of so many Canadian Oblates who gave their lives for the mission”. 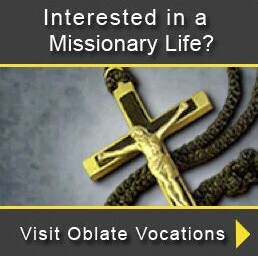 He hopes that this testimony will encourage other young Oblates to give their lives internationally. He congratulates all the people who contributed to this achievement.